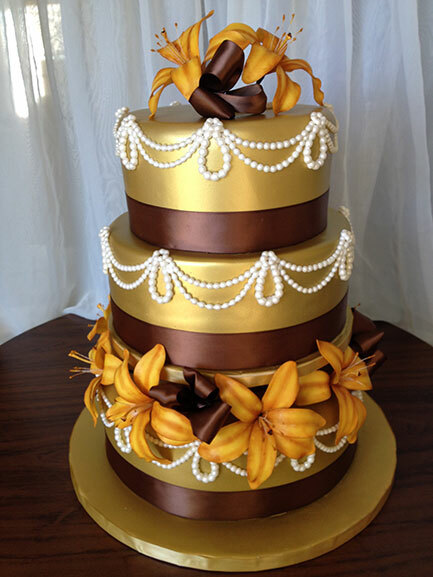 A lovely 3 tier cake airbrushed with gold sheen edible paint. Pearl swags and day lilies adorns it to make it a magnificent addition to your special day. Layers were a variety of flavours.